Most of us have read the stories throughout the world when a family cannot care for their dog any longer. The economy, job loss, foreclosed homes, or just over their head with the breed they have chosen. 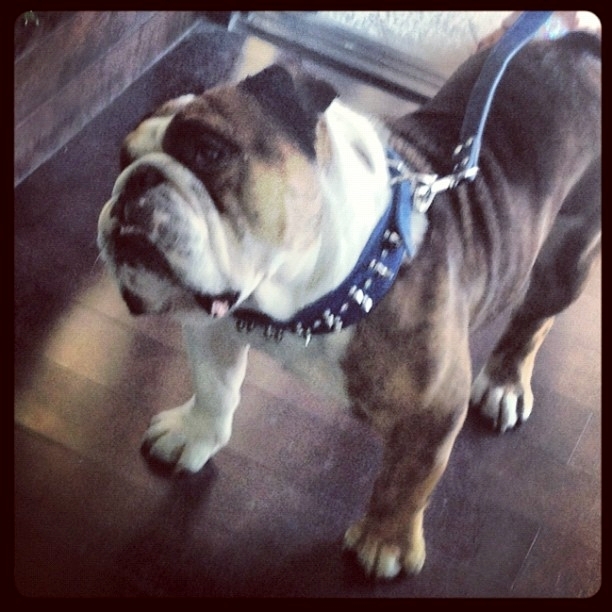 One day a man visited our boutique, Mugsy & Moxie’s Bully Couture. He was in awe of Mugsy’s behavior as he worked in the store. "My bulldog isn't this calm" he said. I could see the look of defeat on his face so I started asking questions about what was going on at home with his bully. 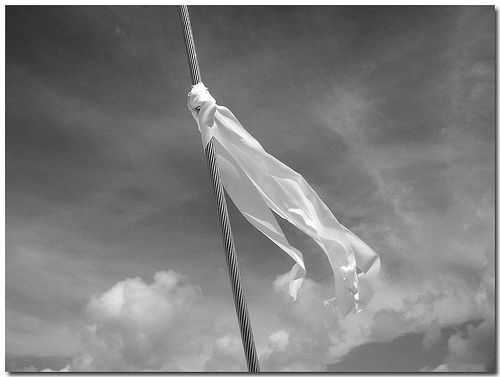 The issues are usually pretty standard when they are at the end of their rope. "Dozer marks inside the house, he jumps on everyone including kids, he won't listen, can't walk on the leash. He is just crazy!" Then he began to describe how their lives have changed. Work schedules, two kids. "We have to keep Dozer crated for 10 hours a day now. I really need to find him a home where he can get the love and attention he needs and deserves." At the store we pride ourselves on helping customers with just about anything related to dogs. I told him about the one rescue he could contact if he wanted to go the route of surrendering his dog, but he was still resistant. He didn't want Dozer to end up in the wrong hands or even worse, the shelter, where he could be euthanized. Yes we have kill shelters here in Las Vegas like The Animal Foundation aka Lied Animal Shelter. We understood exactly what he was thinking. Having been trained and making a living at reading body language I knew deep in my heart what Dozer's Dad was trying to tell me. All the information was just too much, pointing to a sad ending for Dozer and his family. It was then that I told him, "Bring Dozer to me, right here at the store. I can re-home him quickly with a Bulldog family." As I offered him this solution, I could see the tension release from his face, his color brightened. Still reluctant he gave me his wife's phone number to discuss it with her and the process began. Surrendering is painful. It’s hard to be honest with yourself, your children and family when you can no longer give the proper care and attention your family dog needs. In a situation like this, it is normal to second guess your decision, holding onto your dog for a bit, shedding many tears before finally deciding to give up the dog. After few phone calls and missed surrender dates, his wife still wasn't sure, she needed more information on me. She was advised by one of our helpers to research me, our companies and organizations I have worked with for any references. She did. I live a very public life so it was easy for her to find out information about me. One Saturday morning, about two weeks later, his wife called me at the store. She shared how happy she was with the information she had found and she was ready to surrender Dozer at the store. That evening, the entire family came in with a cute little English Bulldog named Dozer, the "Bulldozer". I sat on the floor with the kids and Dozer while speaking with the parents. They shared a long list of issues they were having with Dozer. The kids made sure I knew all the fun things about him and the parents asked for specifics on Dozer’s new home. They were so heartbroken, I could feel their pain because I know how very hard it was to make this decision. They truly did love Dozer and only wanted the best for him. I made promises to the entire family, something I never take lightly. I was here to put Dozer into an amazing bulldog family so he can live as he should. Fulfilled and loved. Dozer doing the head tilt! When Kevin and I take in English Bulldogs, we re-home with previous bulldog families. However, we re-home to those who have become ill, seriously ill so these special dogs have a specific working purpose to heal the patients. I told the family of this patient we had in mind for Dozer. It might be a long shot as they lost their bulldog years ago, but are still heartbroken and cry when they think about him. We know this family very well and lately I've seen Dad looking beaten by his new diagnosis of Kidney Disease. We knew his heart break so I called his family to meet Dozer and see if they would like to have him be Dad's medicine. Of course they fell in love with him. Our reasoning, I have no family left, parents are gone now and we didn't want to lose "Dad" too. Maybe Dozer can bring some fight back. The family agreed. On Dad’s 65th Birthday, I brought Dozer over and presented him as a special gift to heal and be loved. It was a magical moment. Dad began crying and hugged me so tight with happiness. For the first time, Dad was speechless. I gave them the family's wishes, for any reason they cannot keep Dozer, they are to return him to us, not a problem. They agreed to give it a try and see how Dozer and their dog gets along. Three days later... the family dog wasn't having any part of Dozer. Their older dog stopped eating, wouldn't come out of the corner and was miserable. They couldn't bear to do that to their dog, so Dozer came back to us. Dozer and Mugsy at the vet. That very same morning, my husband Kevin was describing to me he felt depressed and sad but didn't know why. I knew right away he missed Dozer. I hadn't arrived to the store yet when I received a message that Dozer was at the store. I called Kevin, he immediately broke down with happiness. "He's the reason I have been so depressed. He's exactly like Moxie Mia!" Which was right on the money, Dozer is the male version of our Queen Moxie Mia. Being broken hearted still over the loss of Moxie, Dozer has made a mark on our hearts and lives. As I had promised, I emailed the family of Dozer's journey. I explained that there was no one else that would be a perfect match for this little 2 year old boy. I told her we were going to take Dozer into our family and love him forever, they were so ecstatic to learn this news. Dozer had to have some surgery, so we scheduled it two weeks ago. He recovered very well and should be back in the lime light soon. The family has asked to come by once he's all healed up to visit with Dozer. We are looking forward to that reunion. We are very happy to report that Dozer has a lot of fans and everyone that visits the store can't help but fall in love with this little boy. While all of this was going on with Dozer, I was contacted by a women who's son has an English Bulldog named Roxy. The son's work situation had changed and he was on the road 20 days per month. His sister was caring for Roxy while he was gone but she had become overwhelmed trying to take care of Roxy because of some issues: excessive shedding, not enough exercise and medical care. So the son had asked his Mom to help him find a new home for Roxy. The surrender itself took a couple of weeks, changing their minds, missed surrender appointments. All very normal under the circumstances. Right away I knew exactly who should have this little girl. Roxy was a "runt" 30-40 lbs, a sweet little girl. 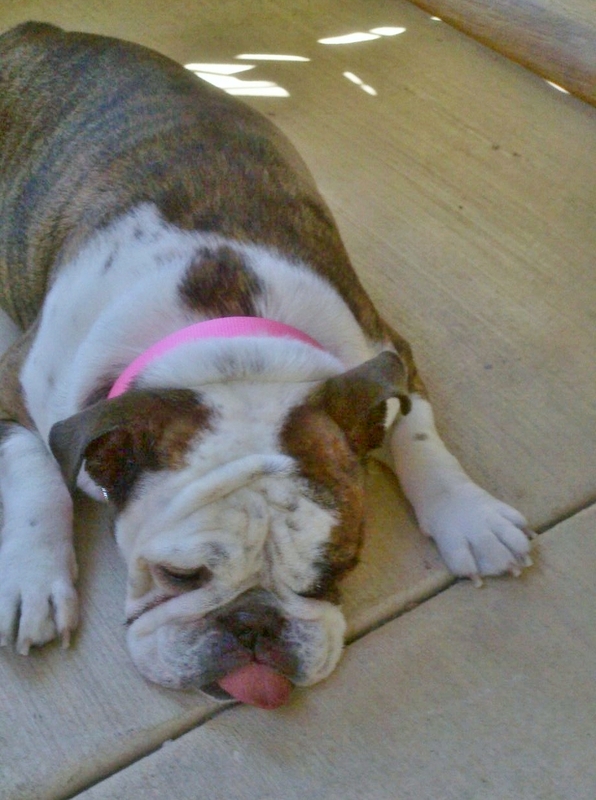 A previous bulldog "Aunt", she had cared for her brother's bulldog who was one of our first Ambassador's. Sadly, she has been diagnosed with leukemia, her family lives out of state and she really missed her bully during her chemotherapy/radiation treatments. I sent her a message about Roxy. I knew she needed a medicinal Bulldog to give her that extra fight. 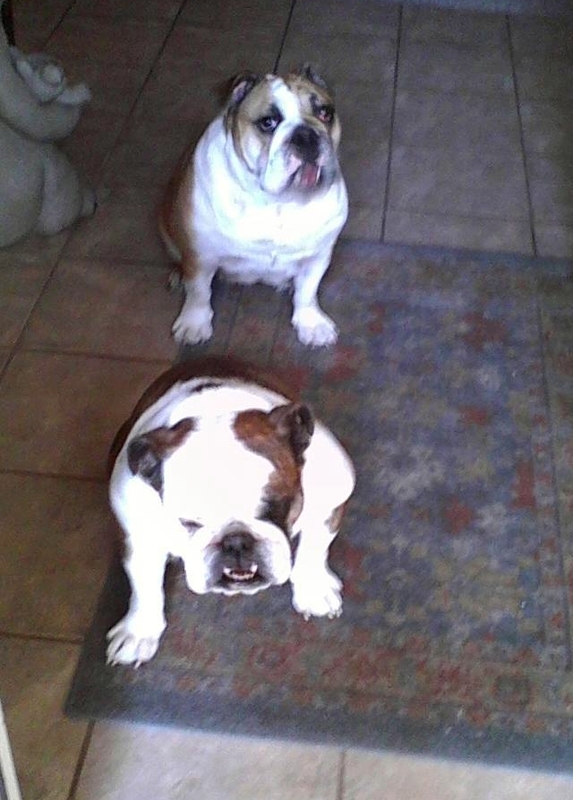 As a well seasoned and educated Bulldog caregiver, she was interested in meeting Roxy. I kept her posted on the surrender. I explained how the owner was reluctant to surrender Roxy and his family was pushing for the surrender so Roxy could have a better life. A couple weeks went by and finally the owner's sister brought Roxy into the store. The owner just couldn't do it himself. Understandable. I sent a message to the patient…"She's here! She's beautiful and sweet, come on down to meet her!" Roxy being surrendered at the store. Roxy getting a check up at the vet. She and her Dad came into the store to meet Roxy and it was magic! Her face lit up, she and Roxy fell in love immediately! Grandpa was taking photos like a new baby had just been born! It was a tearful meeting for me personally. Positive tears and a sigh of relief that they now had each other. Roxy with her new Mom and Dozer. After doing a little shopping for Ms. Roxy, they took her home. The very next day her new owner went into the hospital for round three of chemotherapy along with a couple of weeks stay to protect her from infection and complications. Roxy was in loving hands with Grandpa and bulldog friends during this treatment. Roxy now has a serious roll as a healer and best friend, she couldn't be in better hands with this amazing family. Roxy on her new Mom's bed. Roxy with her new BFF Molly. Ironically we had two English Bulldogs surrendered in a months time, but their stories end perfectly. Dozer and Roxy's purpose is to heal. Dozer is healing our broken hearts from the tragic loss of Moxie Mia and Roxy is nursing her new mom back into remission. My unconditional love for the English Bulldog breed is widely known. I want the best for this very special breed. 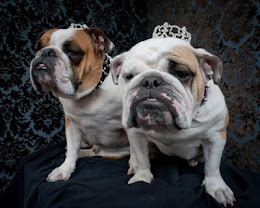 They have the magical powers of healing illness, mending broken hearts and shall always be given a Royal loving life with the perfect Bulldog family. Kevin and I commend the surrendering families for doing the right thing. The ultimate love is to let them go when you know their lives aren't being fulfilled as they should. We will give you legitimate no kill rescues to contact. Every day remember to Love, Hug and Fulfill your Bullys lives as dogs first! 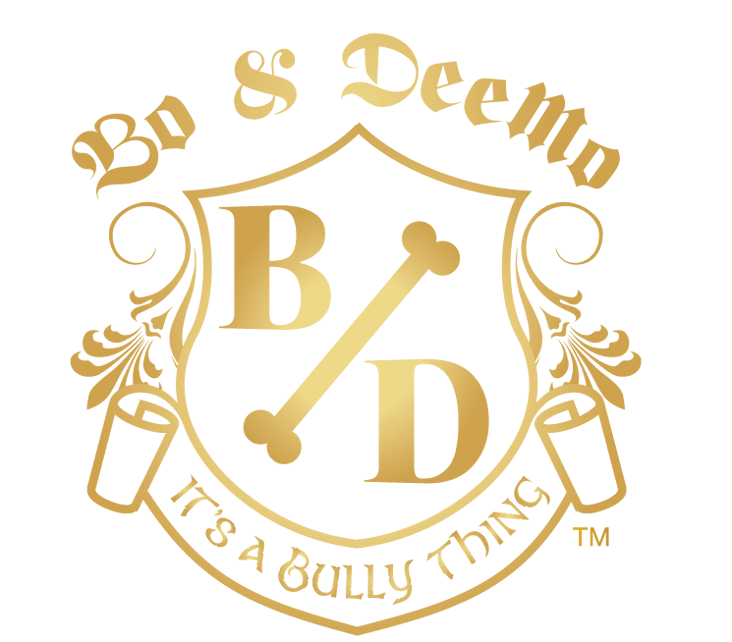 Your bully will return the love ten fold. as King Mugsy holds "Mugsy's Muttster Bash"
an ALL BREED Howl-O-Ween Costume Contest for Charity.